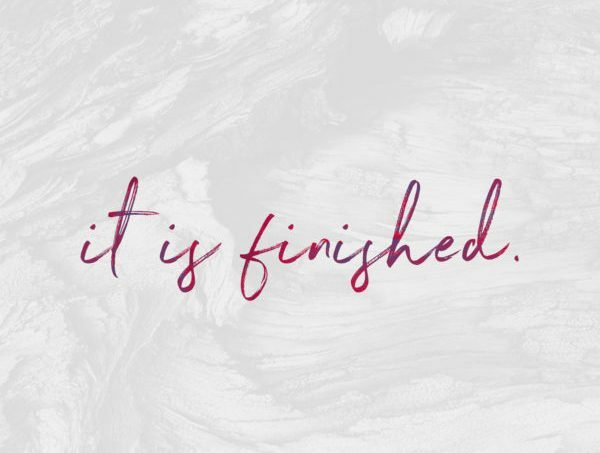 We as the body of Christ… as Believers… haven’t gone far enough in our understanding of IT IS FINISHED! ALL of that NOW in this earthly life! He redeemed us from The Curse — He did NOT redeem us from sickness, disease, lack etc. And because He redeemed us from the CAUSE (The Curse) there are NO curses that remained… NO SICKNESS, NO DISEASE, NO LACK, NO FEAR, ETC. Our condition now is LIFE! BLESSING! RIGHTEOUSNESS! they’re synonymous Life – Blessing – Righteousness! Paul calls this place NEWNESS OF LIFE — and there is NO SICKNESS, NO DISEASE, NO LACK, NO FEAR, ETC. Matt 3:10: And now also the axe is laid unto the root of the trees: therefore every tree which bringeth not forth good fruit is hewn down, and cast into the fire. that kind of thinking produce’s fear in people – which is itself not good fruit! I like that the word “laid” has as its root meaning “to be outstretched” COMPLETELY defeating two “trees” which had nothing but bad fruit!! And that source is not your bad behavior! He didn’t seem to be too terribly put out when Cain killed Abel! that would be things like – sickness, disease, poverty, lack, fear, etc. BUT they were ALL dead on the seashore — they were ALL thrown into the fire along with the trees! Deut 7:15: “The LORD will remove from you all sickness; and He will not put on you any of the harmful diseases of Egypt which you have known…..
Heb 9:26: ….He appeared to put away sin by the sacrifice of Himself. put away — cancelled; rendered no longer in effect! ONE declaration — Righteous!! ALL men justified! justified – means pronounced righteous! ALL mankind’s condition now is Abundant Life! Righteousness! Blessed! so if the trees are cut off at the root then there no longer remains a source to produce the bad fruits of sickness, disease, poverty, fear, addiction, etc.